Learn how to digitalize your manufacturing operation with MFG 360. 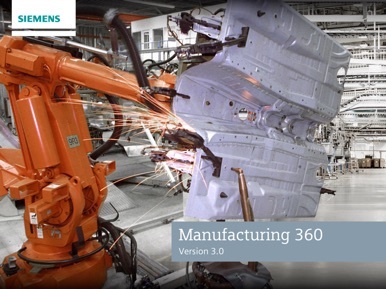 MFG 360 lets you experience digital manufacturing in an interactive factory environment. Learn how to compete more effectively with next generation manufacturing technology, including advanced robotics and logistics simulation, closed-loop quality solutions, and the latest CAD/CAM software. The digital manufacturing solutions from Siemens PLM Software let you run a more efficient and nimble business.